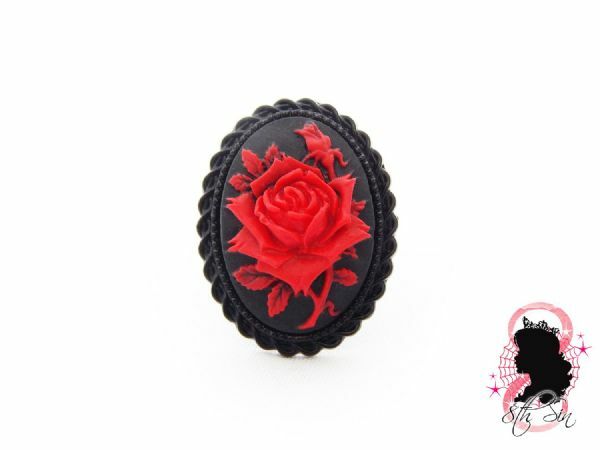 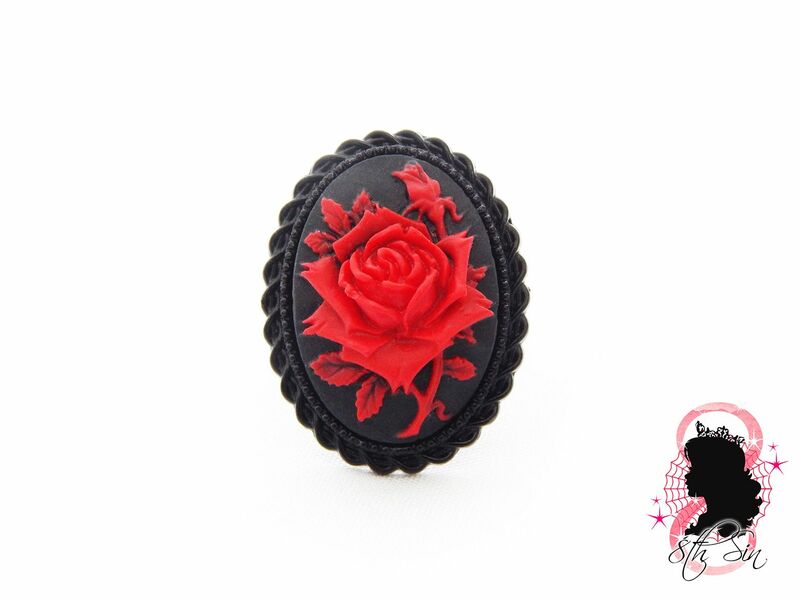 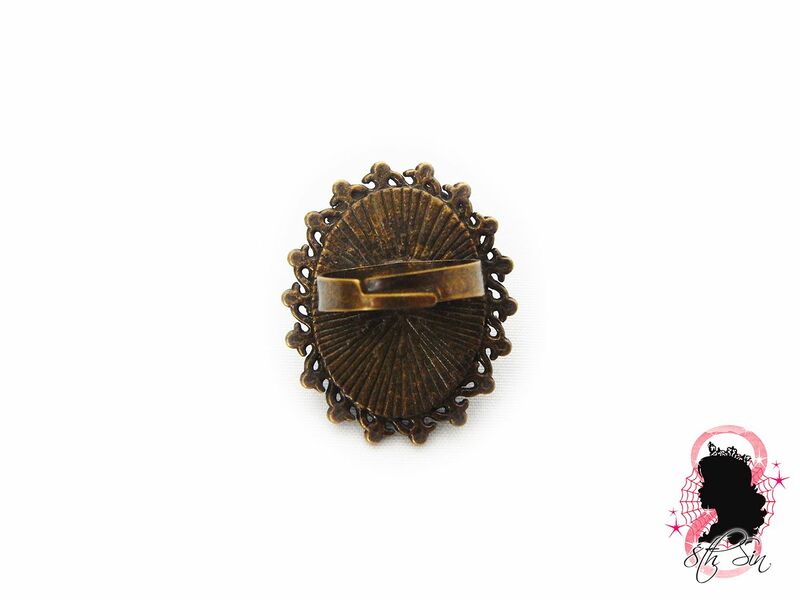 This is a gunmetal black ring featuring a black and red rose cameo. 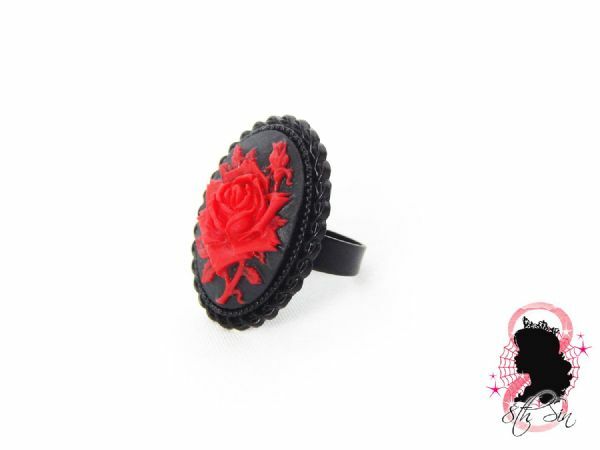 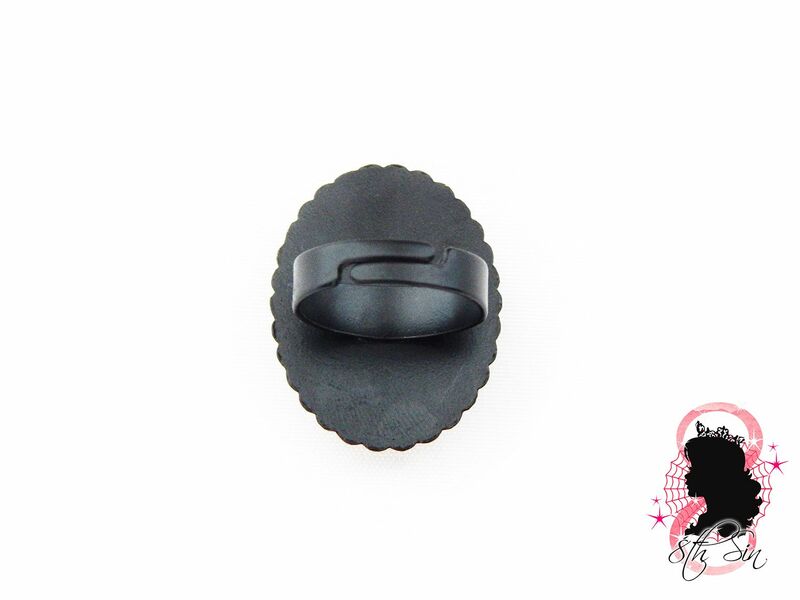 Made with alloy based findings and resin cameo, the ring is fully adjustable in size, simply pull apart or squeeze together the ring band to change the size. 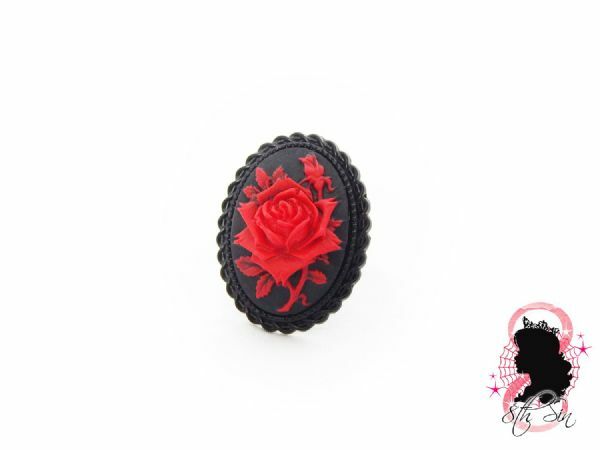 The cameo size is 18x25mm not including the ring setting.